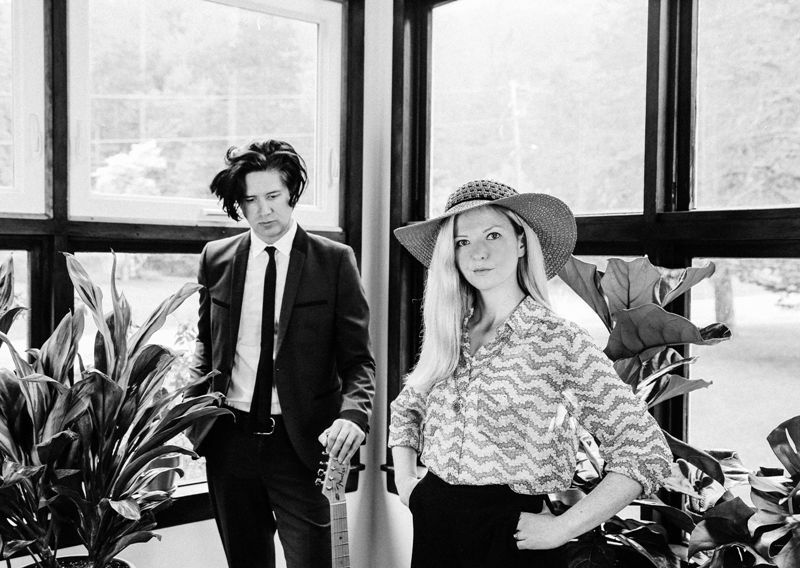 Dream pop duo Still Corners are set to play The Star & Shadow in Newcastle on Saturday 1st December, before that they joined us for a new Bunch Of Fives, and shared five favourite beaches. They filmed Grease, Karate Kid and more here for a reason. Dramatic coastline, amazing waves and beautiful sandy beaches. We filmed some of our video for Black Lagoon here – the scene where I drive up in the white Mustang. It was a beautiful day, a light breeze and surfers’ silhouettes in the distance. It can get busy in summer but most of the time you can go out, sit on the pebbles and be completely alone, apart from the odd dog walker. Sometimes a seal will pop up to say hello and on a clear day you can see France in the distance. I would wake up every morning and walk out to have my coffee. Look to the left, no one, look to the right, no one, look straight ahead, the odd fisherman getting their catch of the day. Isolated. The end of the earth, well the end of England. Lay down on sun warmed pebbles, plan the day, maybe do some of it. A summer favourite when I was little. On the west coast of France, you had to walk through a sandy forest of sand dunes before the beach opened up before you. Perfection. So much has been written about this beach and really it’s so deeply beautiful it’s hard to put it into words. Ancient, brimming with life, colours, plants. The air is a delicious mix of salt and earth. A must see before you die. When the tide is out the beach goes on forever. Once during autumn when the earth tilts and the sun is more oblique, the light hit the beach as the tide rolled in creating a single beam of orange light from outer space to my feet – one single beam. It was glorious. Large over flowing sand dunes, sea grass, impossibly romantic.